A comprehensive marketing, communications and public relations program that will enhance the Organization’s image and position within the marketplace and the general public, and facilitate internal and external communications; and, all Organization marketing, communications and public relations activities and materials including publications, media relations, client acquisition and so forth. Coordinate media interest in the Organization and ensureregular contact with target media and appropriate response to media requests. 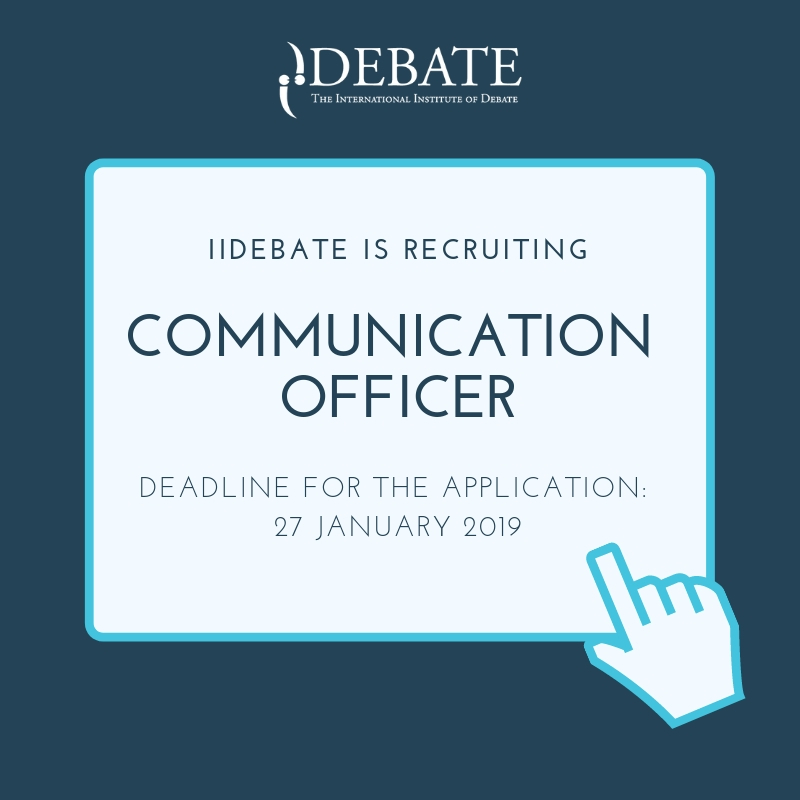 Develop, coordinate and oversee programs, technical assistance and resource materials to assist iidebate chapters in the marketing, communications and positioning of their activities. Provide counsel to IIDebate chapters on marketing, communications and public relations. Responsible for the achievement of marketing/communications/public relations mission, goals and financial objectives. Ensure that evaluation systems are in place related to these goals and objectives and report progress to the Executive Director and Board. Work with senior staff, other staff and volunteers to: develop and maintain a strategic perspective — based on marketplace and constituent needs and satisfaction — in organizational direction, program and services, and decision-making; and, ensure the overall health and vitality of the Organization. Help make sure that the Organization’s philosophy, mission and vision are pertinent and practiced throughout the organization. Maintain a climate that attracts, retains and motivates top quality personnel, both paid and volunteer. Computer literacy in word processing, database management and page layout. Minimum of 3 years experience in marketing, communications or public relations with demonstrated success, preferably in the not-for-profit or association sector. Bachelor’s degree in journalism, marketing, public relations preferred. 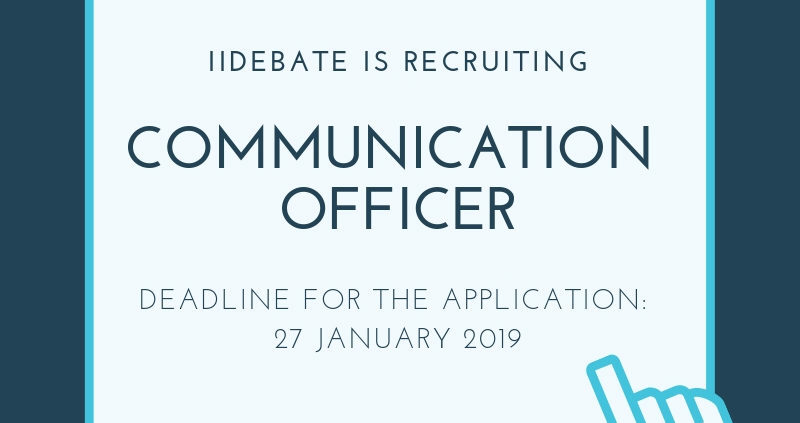 If interested please send your CV & motivation letter to rh@iidebate.org before January 27th, 2019 midnight.